Because anodizing process generates a lot of heat, cooling is a must, particularly for hard coating processes. 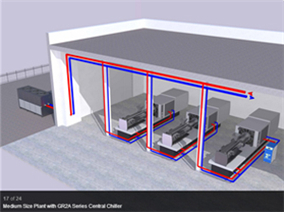 Chillers will do most of the work, removing process heat using either an air or water cooled chiller. 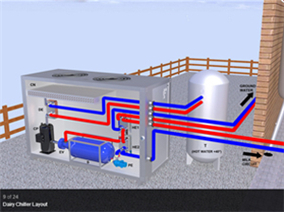 Air cooled units are generally installed outside, and eliminate the need for a tower. 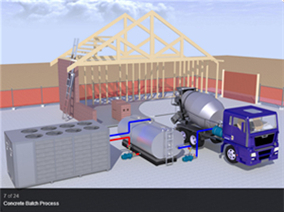 Water-cooled units are the most efficient method, particularly in warmer climates. 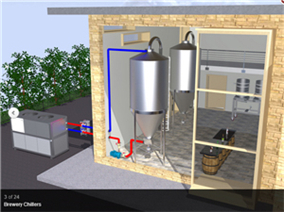 They are installed inside a building with a cooling tower oustide. 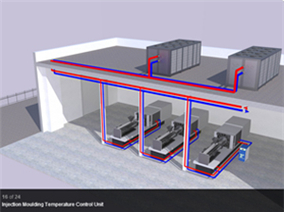 Air cooled and water cooled lab chillers for any application. Standard units are in stock with brazed plate heat exchangers, with and without pump and reservoir, and higher efficiency than ever before. 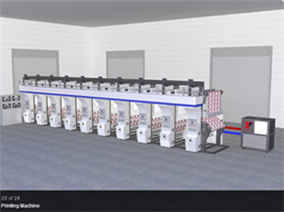 In the printing industry, a chiller not only removes the heat generated by the friction of the printing rollers, but cools down the paper after it comes out of the ink drying ovens in the process. 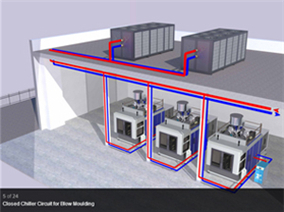 Our waterjet cutting chillers are among the many types of water cooled, air cooled, stationary, portable chillers designed and manufactured by Cold Shot Chillers?. They are specifically designed for the water usage of your waterjet machines. Manufactured of the highest quality components, they are designed to run efficiently by maintaining precise water cutting temperatures. Available in 2 and 3 ton, our waterjet cutting chillers are highly cost effective and are custom designed for your specific water cutting machine operations. Our waterjet cutting chillers can withstand the most hostile environmental operating situations. In the laser cutting industry, light projection industry, etc. 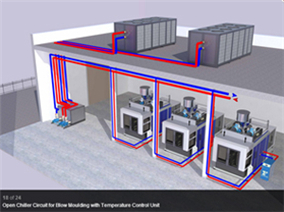 a chilling system is used to cool down the lasers and power supplies. Magnetic resonance imaging (MRI) is a method of creating images of organs inside of the human body. In the medical profession these devices are often used to distinquish pathological tissue, i.e., a brain tumour, from normal tissue. 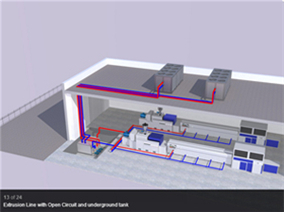 MRI chillers are used to remove the heat from the MRI scanner and transfer it to ether the surrounding ambient air or a water source such as a cooling tower. 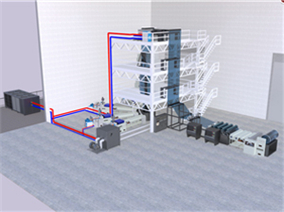 Topchiller offers kinds of chillers for chemical and Bio-tech industry, the air cooled chiller, portable chiller and water cooled chiller to meet the process demands. 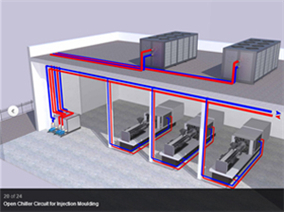 In the plastics industry, a chilling system cools the hot plastic that is injected, blown, extruded or stamped. 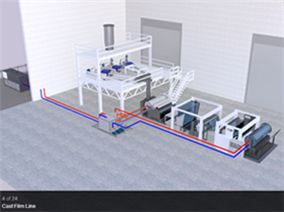 A chilling system can also cool down the equipment that is used to create plastic products (hydraulics of the molding machine, gear box and barrel of the extruder that saves on energy and on the wear and tear of the machine itself. 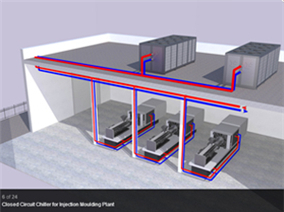 Because expansion is inevitable in the plastics industry, our modular chillers allow processors to bring in a new module that can installed within a matter of hours. 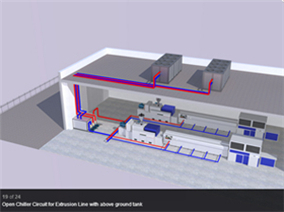 If you have an industrial process where expansion is inevitable but difficult to anticipate or calculate, a chilling system could be the perfect solution.